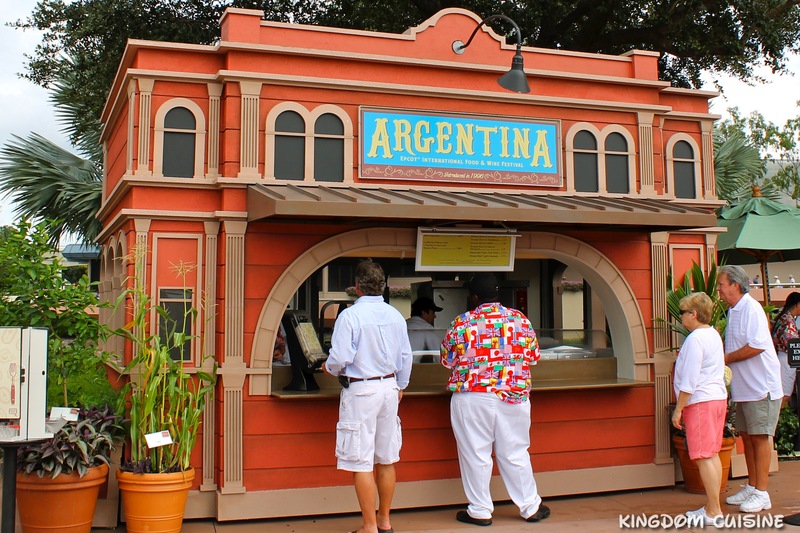 One delicious snack credit option from the Epcot Food and Wine Festival comes from the Patagonia pavilion (formerly the Argentina pavilion). These are the beef empanadas! The empanadas have a delicious shell containing juicy beef with loads of flavor inside. This is a great walking snack. With everything held together neatly inside of the flaky shell you can easily continue to explore the World Showcase! Check out this great recipe to Disneyfy your summer backyard parties! Combine flour and salt in a large mixing bowl. With fingers, work shortening into flour until mixture resembles coarse meal. Combine 1 beaten egg with 3/4 cup water; gradually add water mixture to flour mixture and stir with a wooden spoon until a soft dough forms. Add remaining 1/4 cup water if dough seems dry. Transfer dough to a floured surface and knead 5 to 6 turns. Divide dough into 2 pieces, form each into a disk, and wrap each disk tightly with plastic wrap. refrigerate for 30 minutes. Heat shortening or oil in a large sauté pan over medium heat. Add onions, and cook until soft but not brown, about 10 minutes. Stir in beef, paprika, red pepper flakes, salt and black pepper. Cook, stirring constantly, until mixture is well combined, about 3 minutes. Let cool for 15 minutes. On a large, floured surface, roll out on half of dough to 1/8-inch thickness. With a round 5-inch round cutter, cut 10 circles. Repeat with remaining half of dough. Add 1/2 tablespoon water to remaining beaten egg. Lightly brush outside edges of each circle with egg wash and spoon about 2 tablespoons of filling in centers. Fold dough in half, enclosing filling, and firmly press edges together. Press tines of fork along edges to seal. Place empanadas on two engrossed baking sheets and lightly brush each with egg wash. Bake for 25 minutes, or until golden brown. Serve immediately with salsa, if desired. 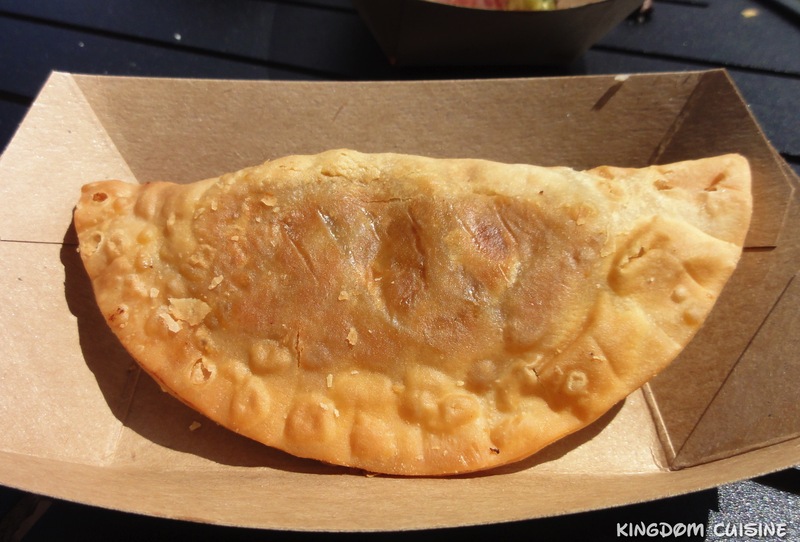 Be sure to take a stop at the Patagonia pavilion to grab a beef empanada to cure your hunger as you explore the World Showcase!